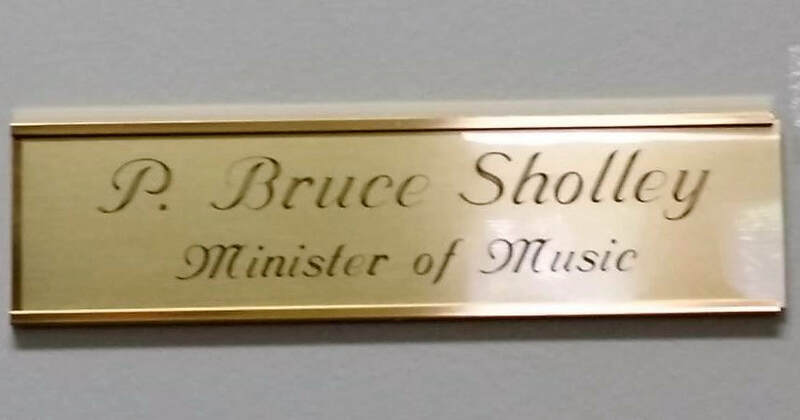 We are blessed to have Bruce Sholley as our Minister of Music. He shares his gift of music with the congregation at all services. Bruce directs the St Luke's choir. Make the joyful noise onto the Lord. The St. Luke's choir is a ministry where members share their time and talent to lead in corporate worship and praise. It is composed of men and women who enjoying singing and the fellowship of working together with one another. Not everyone can participate every week because of family, work or other commitments, but we welcome singers as often as they can join with us. Fluent music reading is not a requirement. We have enough strong leaders to help others learn their parts. What is important is the willingness to share one's talent and love of music. The choir gathers between 9:15 am and 9:30 am each Sunday morning to prepare the day's liturgy and to look ahead to future anthems and special services. Because our number is limited, we often need to adjust musical arrangements to match the voice at hand. That means flexibility is a virtue. St. Luke's is a parish that loves music. One of the best ways to honor that tradition is to sing in pour choir.